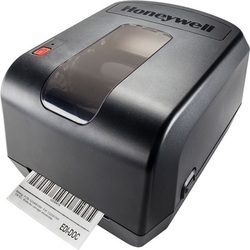 Leading Manufacturer of barcode printer, pc42t honeywell barcode printer, honeywell mid-range industrial label printer pm43a01000000202 and honeywell thermal transfer label printer pd43a03100010202 from Bengaluru. We are a prestigious company engaged in offering a superior quality Long Range Barcode Printer. Our barcode printer that is both extremely compact and modular, ensuring that it will fit your business needs today, and tomorrow. Offered products Long Range Barcode Printer is well known for its performance & quality in the market. We are excited to bring you the new PC42t Honeywell Barcode Printer from Honeywell, which provides outstanding value for your label printing needs Easy to install and ready to print quickly, the streamlined PC42t thermal transfer desktop printer is an economical choice for media up to 110 mm (4.3 in) wide. Able to accommodate large ribbon sizes, the PC42t can print longer before needing media replenishment—lifting productivity in label-making operations. Great Value. 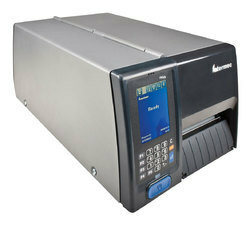 The PC42t is an economical solution for light-duty thermal printing applications. 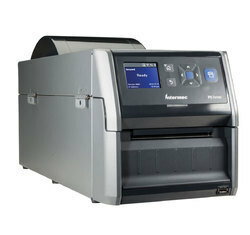 The Intermec PM43 mid-range industrial label printers are ready to perform. Reduce workforce training and support with the tamper-proof, 10-language, color touch-screen or universal-icon interface. Ideal for tight spaces, shallow countertops, and pull-out cabinets, the PD series was designed to deliver no-compromise printing performance in the smallest possible footprint.